The contemporary Navajo Chief Blanket rug style continues due to any early nineteen hundreds revival in production of classic period Navajo blankets designs and colors. 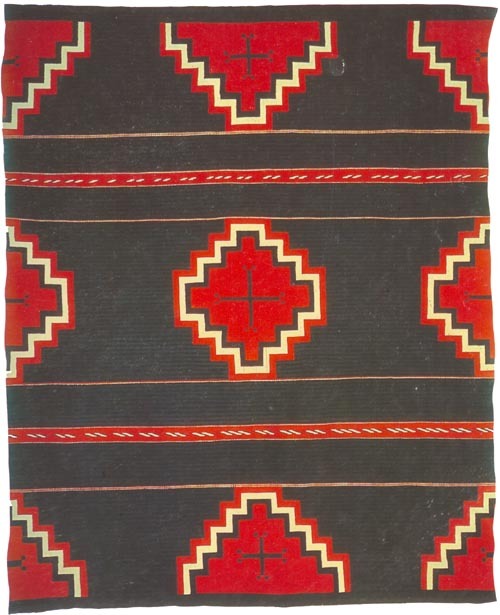 The traditional Navajo blankets colors are utilized: red, black, dark blue, white and gray, and the rug is typically unbordered. The Navajo Chief Blanket design theme is simple; and may include full or partial diamonds or stepped blocks, serrated zigzags and stripes or bands, and an occasional cross or whirling log.